At the outset of this series, we said we wanted to focus on the broader meaning of the word worship and not limit it to music in the church. However, I found this article yesterday while spending much time in the archives of the Institute for Biblical Worship at Southern Baptist Theological Seminary. While it appears on the surface to apply only to those who lead us at weekend services, I believe there are some broader principles we can extract from this as we serve and honor God in various ways. The author is Dr. Scott Connell, Assistant Professor of Music and Worship Leadership; Program Coordinator, Worship and Music Studies at Boyce College in Louisville, KY. Numbers 20:11 Then Moses raised his hand and struck the rock twice with the staff, and water gushed out. So the entire community and their livestock drank their fill. 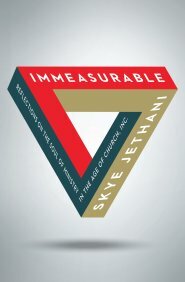 Today we have an excerpt from a brand new book by Skye Jethani, Immeasurable: Reflections on the Soul of Ministry in the Age of Church, Inc.; published by Moody Press. Although the book is written for pastors and church leaders, there are principles here that I believe have a much broader application for the mature Christ-follower. …In Numbers 20, Moses has just led the people of God out of Egypt and into the wilderness. There they begin to complain about not having any water. They’re ready to riot against Moses. So he falls on his face before the Lord in the tabernacle and prays for a solution. God says to him, “Speak to the rock and it will bring forth water for the people and their animals.” (see Num. 20:8). Something happened to Moses after leaving the presence of God, however, and rather than speaking to the rock as he had been commanded, Moses struck it twice with his staff. Incredibly, a miracle happened anyway. Water flowed abundantly. The people were saved. Moses was a hero. Now consider the scene from a human point of view, or from the perspective of the Idol of Effectiveness. Was Moses’ ministry effective? Absolutely! By any human standard, Moses was an effective leader. Was his ministry powerful? Yes, a miracle occurred! Was Moses’ ministry relevant? Clearly. It’s difficult to be more relevant than giving water to thirsty people in a desert. Was his ministry strategic? Without a doubt. He equipped the people with what they needed to reach their goal, the Promised Land. If Moses were here today, he’d be selling books on 3 Steps to Drawing Water from Rocks. He’d be speaking on the ministry conference circuit and hosting webinars for dehydrated churches. From a human perspective, Moses was outrageously effective. But what about from the Lord’s perspective? Not so much. God was far less impressed. In fact, Moses was punished severely for his disobedience. He was forbidden from entering the Promised Land. Instead, the Lord determined he would die within sight of it. Why? Because God does not judge our effectiveness. He judges our faithfulness. It’s clear in Numbers 20 that God decided to perform a miracle in spite of Moses, not because of him. Today I picked up a Christian periodical and discovered that Arnold Reimer, a retired pastor from a church I frequently attended — Bayview Glen Alliance Church in Toronto — had a blog titled Finishing Well. I read several articles, but this one from June jumped out at me as still being quite timely. Click the title to read it at source. It is hard to remember a time in world affairs more unsettling than this present one. When the greatest economic and military power seethes with division, indecision, hateful accusations, political stagnation, worrisome threats, and moral decay, then international angst soars. It is possible that some foolish enemy might take advantage of the situation , when respect and confidence in authority are so confused, and leadership is so consistently distracted and defensive. I repeat what I have often said… the Church, its leadership and followers, must speak, live and demonstrate with awe and reverence, not just the love of a gracious God, but the wrath of a holy God, who is a consuming fire. Yes, the Lord our God, Sovereign Ruler of the universe, Creator, Saviour, Healer, Sanctifier and coming King, is patient, loving, gracious and forgiving. But, He hates sin and judges it. Eventually, He withholds blessing from the disobedient and indifferent. That great and awesome God insists that we proclaim both His cursing and His blessing, whether they listen or not. down prophetic truth, and coddling sin and sinners? Do we not understand our times? Do we not realize that the popular parading of evil, running rampant in our day, and generally approved, left unmentioned, unchallenged and un-rebuked will hasten the exercise of God’s wrath? Is sin so obscure in Scripture that we can be ambivalent about it from our pulpits? Are we not to hold governments, educational and religious institutions and the general population accountable for degenerate behaviour? Is the applause and approval of men so important, or the fear of their response so great, we dare to please men rather than God? These are sobering, heart-searching thoughts for which we who own His name shall stand accountable. Surely, for those who know God and His Word, finishing well demands a bold, fearless acknowledgement and response to these things. Those of us who are older have been given the perspective of time, duty and experience to see a bigger picture. We know the value of love, prayer, lifestyle and sensitivity necessary to an acceptable presentation of truth and warning. We also know what evil can do! In a shaken world an unshakeable faith in a gracious, forgiving God will enable us to speak lovingly, wisely and clearly. As we did last year at this time, yesterday and today we’ve been re-visiting the website GCD (Gospel-Centered Discipleship) and this time around the featured writer is Pittsburgh young adults pastor Austin Gohn. Click the title which follows to read this at source, and then spend some time looking at other articles. Whatever the format—swimming pool, font, bathtub, or baptistery—this simple, rhythmic phrase has “stirred the waters” (Jn. 5:4) of baptism since the Great Commission (Mt. 28:18-20). As a second grader, I remember hearing these words at my own baptism while trying to catch one more breath. Now, as a pastor, I pronounce them over young adults as I baptize them in my church’s small and under-heated baptistery (complete with its own Bob Ross worthy Jordan River mural). As we step into discipleship, though, we often leave this phrase (and the reality it proclaims) in the water. We attempt discipleship in the name of the Father or the Son or the Holy Spirit, but not in the name of the Holy Three. We might confess the Trinity at a doctrinal level, but we forget, sideline, or ignore the Trinity at a practical level. As Eugene Peterson noted, “We know the truth and goals of the gospel. But we have haven’t taken the time to apprentice ourselves to the way of Jesus, the way he did it. And so we end up doing the right thing in the wrong way and gum up the works.” Instead of living “life to the fullest” (Jn. 10:10), we end up stuck, smug, or spent somewhere in the course of discipleship. The Trinity is not a mere entry point into discipleship but the ongoing environment for discipleship. This means that gospel-centered discipleship is only as gospel-centered as it is Trinity-centered (please read Fred Sanders on this). Perhaps, this is what St. Paul meant when he prayed for “the grace of our Lord Jesus Christ and the love of God and the fellowship of the Holy Spirit” to be with the Corinthian church (2 Cor. 13:14). If we want our discipleship to bear fruit, sometimes we need to be pulled aside like Apollos and have explained to us “the way of God more accurately” (Acts 18:24-28). We need to uncover the areas where we only lean into the name of the Father, Son, or Holy Spirit, and recover discipleship in the name of the Father, Son, and Holy Spirit. When we attempt discipleship in the name of one or two persons of the Trinity, it’s like attempting to live on only food or oxygen or water (or two out of three). Sooner or later, you are going to feel the effects of forgetting to eat, drink, or breathe. It’s a life or death matter. Discipleship is no different. Without the Father, Son, and Holy Spirit, disciples (and even entire communities of disciples) start to shrivel up. Although there are many angles from which we could consider this (e.g. overemphasis on one person of the Trinity), let us consider what happens when we neglect one person of the Trinity and attempt discipleship in the name of two, but not the other. If we attempt discipleship apart from the Son, we might begin to equate our progress in the faith (or lack thereof) with our status before God (Eph. 2:8-10, Gal. 2:15-16). If we attempt discipleship apart from the Father, we might attempt to live like Jesus without knowing the fundamental knowledge about the Father that made his life the logical overflow (as expressed in his Sermon on the Mount, especially Mt. 6:25-34). And, if we attempt discipleship apart from the Spirit, we might burn out as we try to overcome our sinful habits through own insufficient power and discipline (Rom. 8:12-13, Gal. 5:16-25). Whether through ignorance or intention, each of these mistakes can be deadly for discipleship. In my own life, I tend to lean into the Father and the Son but forget the Holy Spirit. Even if I believe (and teach) that transformation is not possible apart from the Holy Spirit, my own discipleship growth often centers on correct motives (the finished work of Christ) and correct knowledge of the Father. Borrowing the language of A.W. Tozer, it’s possible that 95% of my own discipleship would go unchanged if the Holy Spirit were withdrawn. As a result, I am prone to feeling burned-out, tired, and exhausted. These phrases act like signposts that clue us into areas where we need to be reminded of the Father, Son, and Holy Spirit. They are an open door to talk about the Trinity-centered gospel. The best way to get back on track is to remember that we are already locals in the neighborhood of the Father, Son, and Holy Spirit. Discipleship is not a way into the neighborhood, but something we do as part of the community. As St. Paul made clear in Ephesians 1:3-14, our participation in the life of the Trinity is thanks to the saving work of the Trinity in the first place. The Father, Son, and Holy Spirit chose, loved, predestined, redeemed, sealed, and adopted us (just for starters!). At baptism, the Trinity became our home. Discipleship in the name of the Father is dependent on the Father’s provision (15:16) and love for us (16:27). Discipleship in the name of the Son is made possible through him (14:6), looks to him to see what the Father is like (14:9), converses with the Father through him (14:24; 16:23), and trusts him to bring about the fruit of discipleship (15:1-4). Discipleship in the name of the Holy Spirit relies on the Spirit to remind us of what the Son taught (14:25-26), convict of us sin (16:8), and teach us how the truth applies in present circumstances (16:12-15). This is just a taste of discipleship in the name of the Father, Son, and Holy Spirit. Alongside this and other Trinity-soaked texts, read authors like St. Augustine, John Owen, Eugene Peterson, Susanna Wesley, Dallas Willard, Fred Sanders, and Wesley Hill—people who have both written about and experienced life with the Triune God. Steep in these for a few minutes and the possibilities for discipleship in a Trinitarian shape really start to open up. As a final note, doing discipleship in the name of the Father, Son, and Holy Spirit is not just about us. It’s for the sake of everyone else. The process of discipleship is just as critical to God’s mission as the product of discipleship. In a culture that is looking for the next self-improvement strategy, discipleship in a Trinitarian shape offers people a transformative relationship. Discipleship itself is an opportunity to show the world not only different goals to pursue, but also a different way in which to pursue them—in the name of the Father, Son, and Holy Spirit. And that’s good news. Eugene Peterson, Christ Plays in Ten Thousand Places, (Grand Rapids, MI: Eerdmans, 2005), 300. Willard, The Great Omission, (New York, NY: HarperCollins, 2006), xiii. I am thinking here of the way Jesus deals with anxiety. He doesn’t say, “I’m not anxious, so you shouldn’t be anxious.” Instead, he says, “Look at the birds of the air: they neither sow nor reap nor store away in barns, and yet your heavenly Father feeds them” (italics mine). Anxiety is rooted in wrong ideas about the Father. Today’s post is excerpts from a larger, topical article which appeared at the blog of Dr. Ronnie Floyd, Senior Pastor of Cross Church, immediate past President of the Southern Baptist Convention. For that reason, click the title below to read the entire piece at its source. We’ve excerpted the spiritual teaching from the article. …In this presidential election season, some are acting like we have had pure choices before and now we do not. Let’s get real: we have never had pure choices to select from. We live in a fallen world and all of our systems are less than perfect. It was failed when some of our greatest presidents have been elected or when some of our greatest presidents have emerged through the fire of leadership. Perfection will not occur until we die and our residency changes from here into heaven, and ultimately when Jesus comes again in His coming eternal, sovereign Kingdom. …I prayed, searched, and became convicted in March that there was one biblical character God wanted to use in my life who would become my mentor and model while navigating through these tumultuous waters. Daniel was a godly, praying and fasting man whom God used powerfully. He was entrusted with favor from God and had favor with man. Daniel was entrusted with influencing the King and the future of the country, as well as given the authority to lead. Daniel 1-4 speaks of his relationship and influence with one of the most wicked leaders of all time, King Nebuchadnezzar. Daniel 5-10 speaks of his relationship with King Belshazzar, King Darius, and King Cyrus. America is like a modern-day Babylon: sinful, wicked, and godless. God raised up King Nebuchadnezzar and Babylon to exercise God’s judgment upon the people of God. Daniel and the people of God being exported into this godless, wicked nation gives us a living example of where we are as Christ-followers. We need to go to school on how God used Daniel and others in this season of judgment. Daniel determined he would honor God whatever the costs. Daniel received God’s favor and was given leadership and influence. Each spiritual leader should aspire to be like Daniel. What if Daniel had refused to acknowledge King Nebuchadnezzar and acted like he was too righteous to relate to him? What if Daniel had not answered the request to come interpret his dream? When you read the book of Daniel, you find him relating to these leaders continually, oftentimes entrusted with great influence upon the nation and even property; but at other times, being put in prison or ending up in a lion’s den. Daniel was not for sale. He even told King Belshazzar, “keep your gifts.” God always prevailed. Daniel was always faithful. Daniel 2:14, “Then Daniel responded with tact and discretion to Arioch, the commander of the king’s guard, who had gone to execute the wise men of Babylon.” This is a pivotal verse that we need to go to school on in 2016 as spiritual leaders. In this day of social networking and endless opinions, Christian testimony is being destroyed and people are being hurt continually. Daniel’s tone and words were flavored right, proper, and wise. Daniel’s counsel was sound, careful, and sensible. …Let me set the record straight today: I want Daniel, the statesman and prophet, and the life, leadership, and legacy of Billy Graham and their relationships with national and global political leaders to be my model rather than sitting on the sideline, critiquing every political candidate and anyone whom God would raise up to influence them. Characterized by Courage, or Characterized by Fear? Did your high school ever do a production of The Wizard of Oz? The one pictured here is from the UK. Today, one of our past writers recommended a site, Love Everlasting Ministries, which in turn led us to the blog of Sarah Callen, Work in Progress, where we found today’s article. Click the title below to read at source. The Wizard of Oz is a classic movie full of wonderful and memorable characters, one of my favorites is the Cowardly Lion. I love the irony of his character: a huge, ferocious looking lion who is scared of everything and severely lacking in courage. This lovable character spends his time with Dorothy in search of courage, understanding that his lack of courage is unbefitting. I wonder how many of us are like the Cowardly Lion: we know we are to be courageous, but find ourselves crippled by fear. Lately, in my own quiet time with the Lord and in conversations with others, the word “courage” has consistently come up. Our lives, especially as Christians, require a great deal of courage. Trusting God, trusting that we’re hearing his voice, following God’s instructions, and living “on mission” all require courage. It takes courage to forgive, it takes courage to be kind, it takes courage to depend on God, it takes courage to love others. The life of a Christ follower requires courage at every turn. Following God is not for the faint of heart. “…No one will be able to stand against you all the days of your life. As I was with Moses, so I will be with you; I will never leave you nor forsake you. Be strong and courageous, because you will lead these people to inherit the land I swore to their ancestors to give them. In the span of four verses God commands Joshua to be strong and courageous three times… I think he may have been trying to make a point. Courage was necessary for Joshua and the people Israel, they could do nothing without courage. But I find the flow of this passage to be very interesting. The first “be strong and courageous” is directed specifically to Joshua, as Joshua would be unable to enter the promised land without it. During his time as the leader of the nation, Joshua showed immense faith and courage, resulting in the miraculous acts of God on behalf of his people. Joshua had the courage to listen to God, take him at his word and not budge, knowing that whatever God said would indeed come to pass. It takes immense courage to see the vision of God and not be dissuaded by circumstance or naysayers. It takes courage to obey. Has God ever instructed you to do something that just scared you? Have you ever read a verse and thought to yourself, “I just don’t know if I can do that…”? I know I have. Obedience to God takes a great deal of courage. Read through the book of Joshua and witness the seemingly crazy instructions that God gave Joshua who in turn had to tell the people. It took courage to march around the city of Jericho for seven days instead of coming up with a plan of attack. It took courage to devote the entire city to God instead of keeping everything for themselves. It took courage to go up against giants and armies when Israel was vastly outnumbered. But every act of courageous obedience resulted in overwhelming blessing. It takes courage to go. “Go” is the most expensive word in the Bible. It can be easy sometimes to focus on the cost, instead of summoning the courage to “go”. Courage is required to spread the love of Jesus, whether that means going to your neighbor or another country. But, when we summon the courage to go, knowing that God is with us the entire time, I believe great things can happen. When fear-conquering courage fuels faith-filled actions this can lead to changed lives and communities. In what areas of your life do you need an infusion of courage? How can that spark of courage in your life lead to the benefit of others? It’s my hope and prayer that we will all be strong and courageous as Joshua was so that we can lead, obey, and go as the Lord instructs. To read another article by Sarah which was our introduction to her writing, scroll to her June 14th article at Love Everlasting Ministries. 12b Be an example to all believers in what you say, in the way you live, in your love, your faith, and your purity. 12 Don’t let anyone think less of you because you are young. Be an example to all believers in what you say, in the way you live, in your love, your faith, and your purity. 13 Until I get there, focus on reading the Scriptures to the church, encouraging the believers, and teaching them. 14 Do not neglect the spiritual gift you received through the prophecy spoken over you when the elders of the church laid their hands on you. 15 Give your complete attention to these matters. Throw yourself into your tasks so that everyone will see your progress. 16 Keep a close watch on how you live and on your teaching. Stay true to what is right for the sake of your own salvation and the salvation of those who hear you. serve this ministry with abandon; immerse yourself in all aspects of the work; be absorbed in it, devoted to it, and un-distracted from it. Paul’s exhortation in v. 12 shows an obvious awareness that some may not respect Timothy’s youth and that Timothy might even use his youth as an excuse for immature belief. Example is a pattern or copy from which other patterns or copies are made. The trio of love, faith, and purity conforms nicely to the admonition of 1:5. I Tim. 1:5 The purpose of my instruction is that all believers would be filled with love that comes from a pure heart, a clear conscience, and genuine faith. What do people know about me by my speech? What do people see through my actions? Am I known as a giving person; a loving person; a person of charity? What is the role of my beliefs in my life; how are they reflected? Do I have a reputation for integrity; am I walking in purity? Is my life scripture-rooted? Am I passionate about God’s Word? Am I using my gifts in service or have I set some aside? Would I be described as passionate in my devotion to Christ? Is there a consistency between what people see and how things are internally? You might even want to print these out, and keep them in a special place. You could check-mark things where you’re feeling no particular focus is needed right now, and underline things which need to be addressed. Then check back with the list in a month, in a new season, or in a new year. Go Deeper: Here’s some teaching on Paul and Timothy relationships as part of a study on The Antioch Tradition. The graphic below is from that source. Just days before Jesus had heard this same crowd shout “Hosanna” as He entered Jerusalem, now so many in unison shouted “Crucify Him”. Sadly, this is a true testament to how fickle “the crowd” can often be. But in reality it was no surprise to Jesus, because He knew He was born to die on a cross, and their ignorant uninformed shouts were only driving things in the direction His Father had appointed them to go. The reality here is that, while Pilate desperately looked for facts, the crowd had made its mind up. The trouble was, their collective mind was already made up – without the facts. Their opinion was based on “some things they heard” from people. Maybe it was because they liked the people or because the people were very earnest and convincing that they felt the information making this man guilty did not need to be proved? But the real problem was, they were wrong. As they joined in with the chant of “Crucify Him” they were actually guilty of believing a bunch of well-presented lies, and of hanging an innocent man on a cross to die. So the trial continued and the innocent man is condemned. He is whipped, mocked and hung on a cross to die like a common criminal, as they watched on still cheering. The problem for them is that, directly after His death, it is indisputably proven that the man on the cross was actually innocent, and the people who put Him there were actually guilty – guilty of not seeking out the truth, guilty of listening to only one side of the story, guilty of not giving the person accused an opportunity to relay their side of the facts or defend Himself. Our lesson today is simple. After you have crucified someone is too late to realise you have made a mistake and that you did not have all the facts! The first one to plead his cause seems right, until his neighbor comes and examines him. Whether it is a person, or even a church leadership, that appears to be guilty, take a moment before you join in with the crowd that shouts “Crucify” to make sure you have all the facts, because after you have killed a person’s reputation or integrity is the wrong side to realize that maybe you were wrong. Remember, there are always two sides to every story! Today’s reading is in two parts. The first is an introduction to Phil McCallum who is a pastor in Washington State. The second one, you’ll have to click through for; it’s an explanation of how Phil starts his day in prayer. The first reading for today can be seen at Phil’s blog, Deeper Still, where it appeared under the title Follow, Don’t Wallow. 7Then Joshua cried out, “Oh, Sovereign Lord, why did you bring us across the Jordan River if you are going to let the Amorites kill us? If only we had been content to stay on the other side! 10But the Lord said to Joshua, “Get up! Why are you lying on your face like this? 11Israel has sinned and broken my covenant! They have stolen some of the things that I commanded must be set apart for me. And they have not only stolen them but have lied about it and hidden the things among their own belongings. Joshua was a great leader who made a wrong assessment. Here is his train of thought. While he is wallowing, God slaps him across the face and calls him to follow him. God had a very different train of thought. My leaders don’t wallow. Get off the dirt. Think like a man of God. This battle is spiritual, not just physical. There are demonic powers involved. There is a hidden sin. The demonic powers have used this to their advantage. You won’t be defeated until you have a camp that pleases the Lord. Then you will be backed by the host of heaven. Deal with the real problem and you will win. As a leader, there are times when I am tender when I should be bullet-proof and there are times I’m Teflon when I should be tender. Toward the Lord I must have vulnerability; toward my enemies, I must be tough and clear-minded. In times of defeat, I’m not to wallow, I am to follow God. I cannot allow Satan to lead me into a pseudo-humility, that looks like tenderness, but really offends God. Instead, I am to stand tall, face the facts, and know that even my radical ambition pleases the Lord. Father, where I’m wallowing today, help me to stand up and follow. Amen. Here’s a link to part two for today: Get to know the writer you just read and how he begins his day with God in prayer. Click to read How I Start My Day in Prayer. Some days I really struggle with the idea that it seems so few Christian writers are willing to try their hand at writing devotional literature. But then, this week I discovered this page at CBN. It’s good to know that there are others out there who prioritize the gift of encouragement and the gift of teaching and are willing to take the time to write out thoughts that will strengthen and encourage others. Many of you are involved in leadership in your local assemblies. Have you ever had experiences in ministry which seem to take away all your joy? Sometimes the enemy of our souls has ways of creating intense frustration and discouragement. Francis Chan looks at this at one of a number of videos at Verge Network’s YouTube channel. Here’s another message from the same channel. David Platt looks at the variety of beliefs — some of them somewhat wacky — belonging to people who identify as Christians. Can they really be Christ followers? I know some of you don’t have internet connections which allow you to watch videos, so some of the text is printed below.